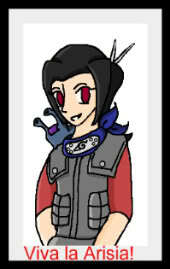 This is a new rpg Shira ans I started together with another one of our friends. You play as werewolf, vampire, human, or half-breed. Most humans are unaware of vampires and werewolves. And vampires and werewolves aren't too fond of one another. Its somewhat laid back but then again we only have 3 registered characters so far. i joined...i'm Tetsu Naito (Night) on it.